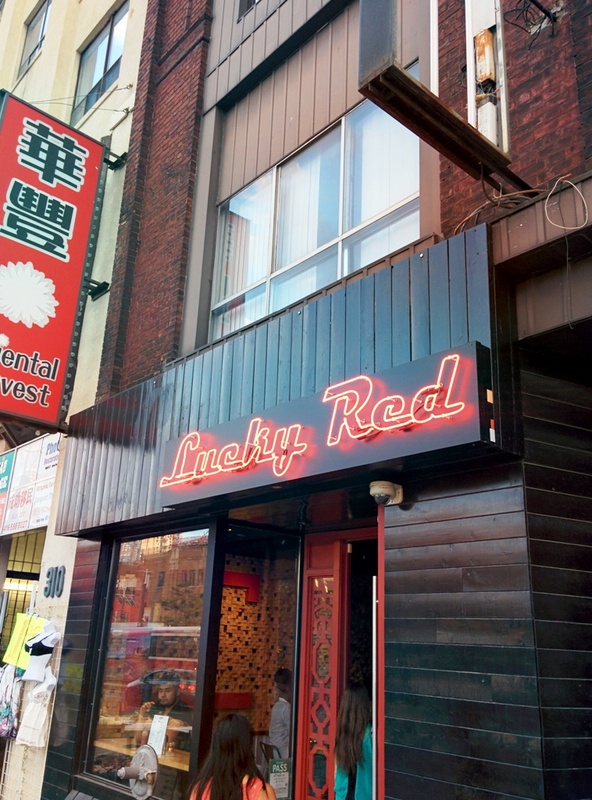 Note:Lucky Red has now closed. 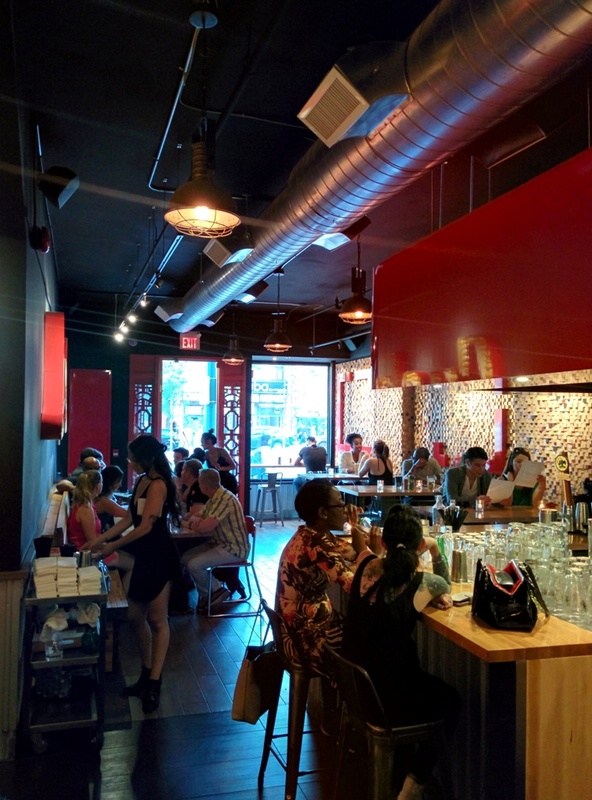 I have been seeing Lucky Red on Instagram everywhere, quality done Asian style tapas with some new world flair had my interest peaked. The place was quite busy, it being a Friday night and all and we did wait some time before getting shown a seat and our order taken. We ordered a couple of their cocktails and then I proceeded to list everything I wanted to eat, we ordered two pieces of the Fried chicken, a serve of the hambaogers, both the fried chicken and pork belly baos and to add a touch of freshness the papaya salad and braised spinach. 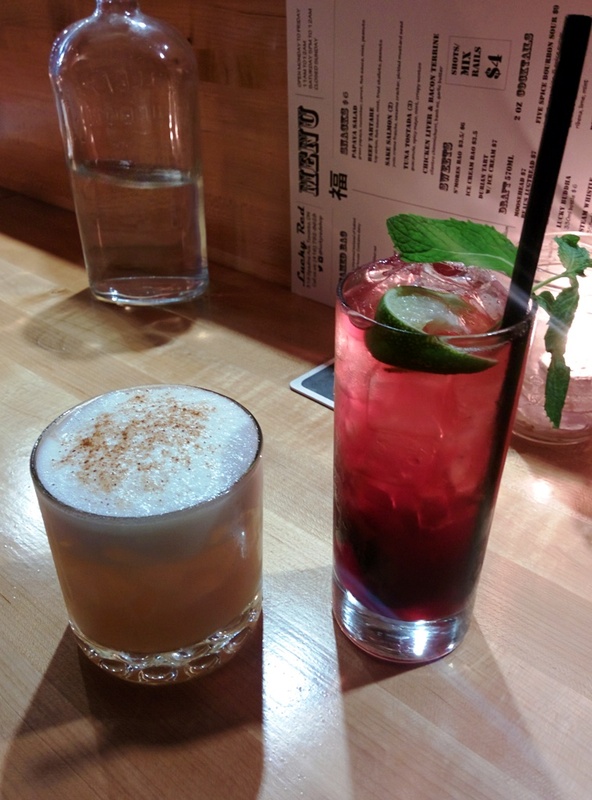 Out first were the drinks, Asian style bourbon sour and the Lucky Red drink which I was super excited about due to it having ribena in it. 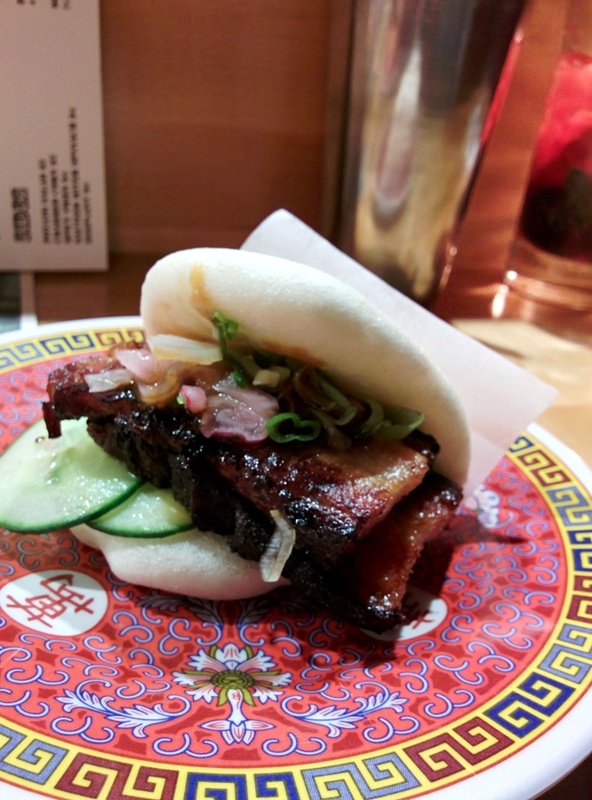 Just after the drinks arrived (they were fantastic, fyi) the pork baos came out. They were stunning, lusciously tender and melt in the mouth pork with classic flavours, the bao was denser than most of the ones I’ve had before but it played well with the a good texture contrast. 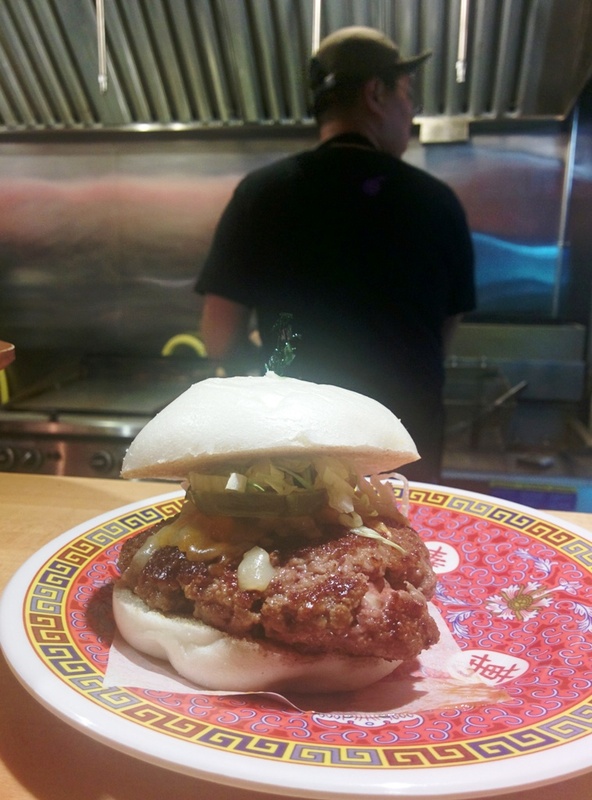 Next out was the hambaoger, they looked awesome, the baos toasted to give a nice crunch on the inside with the patty crisp and well seasoned on the outside but still pink inside, it wouldn’t be complete without their “big mac” sauce to top it all off, safe to say these were great. Last of the baos the chicken came out along with the papaya salad, the chicken bao was also good but having had it third, it had a lot to live up to and it fell a bit short, the chicken was crispy and the flavours good but just lacked a wow factor. 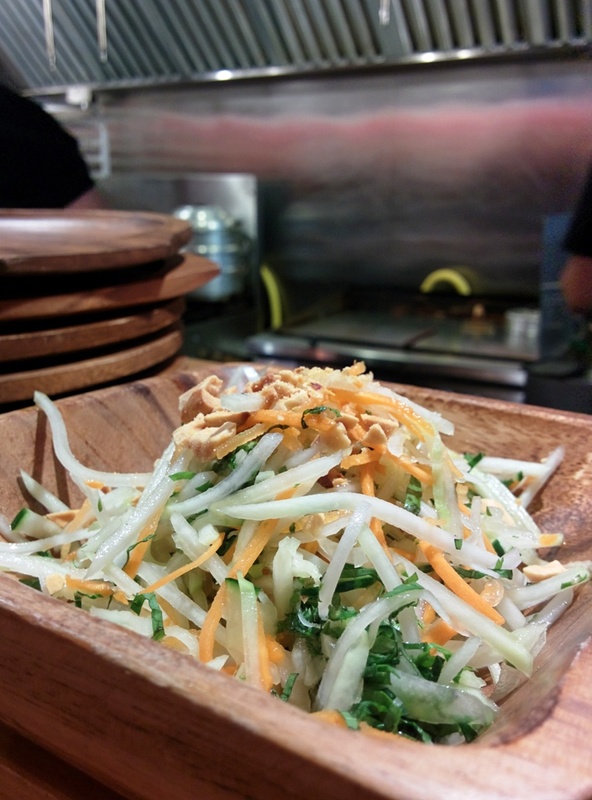 The papaya salad came out and I had zero expectations, mostly because I am not a salad guy, and sadly this didn’t exceed them. Last out was the spinach and chicken, I had been waiting patiently for the chicken and when it arrived it was piping hot, which in turn had me waiting more. I decided to get stuck in to the spinach first, it was great, the right amount of everything, not to mention perfectly cooked. I felt I had waited long enough and bit into the chicken to which juices burst out everywhere. 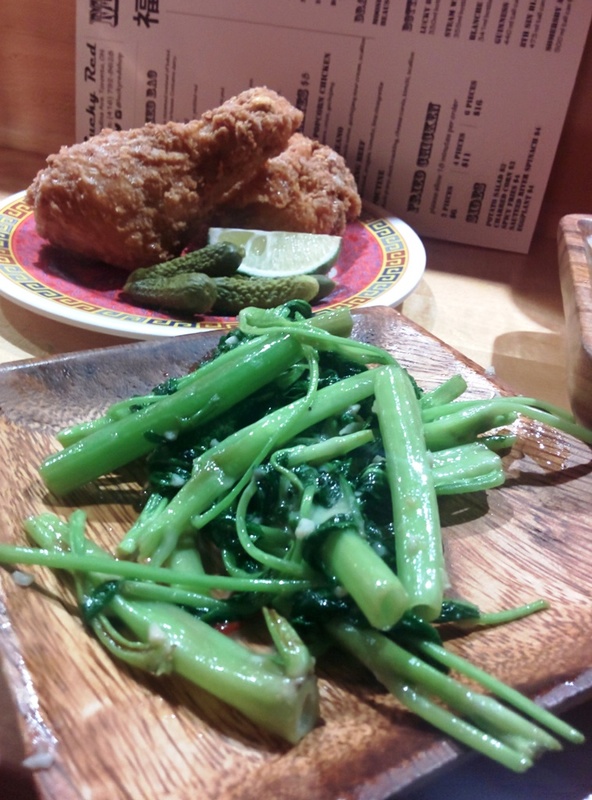 The chicken was well brined and so tender as well as incredibly crispy. The spice rub a fantastic mix of sweet, salty and a tiny bit spicy. 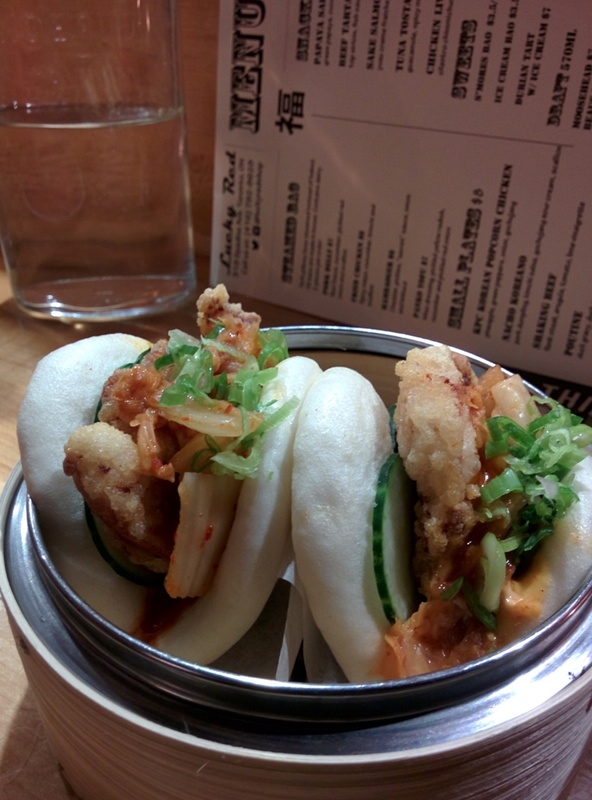 Lucky Red is worth the visit even if it’s only to have a drink and a couple of bao before you head elsewhere. 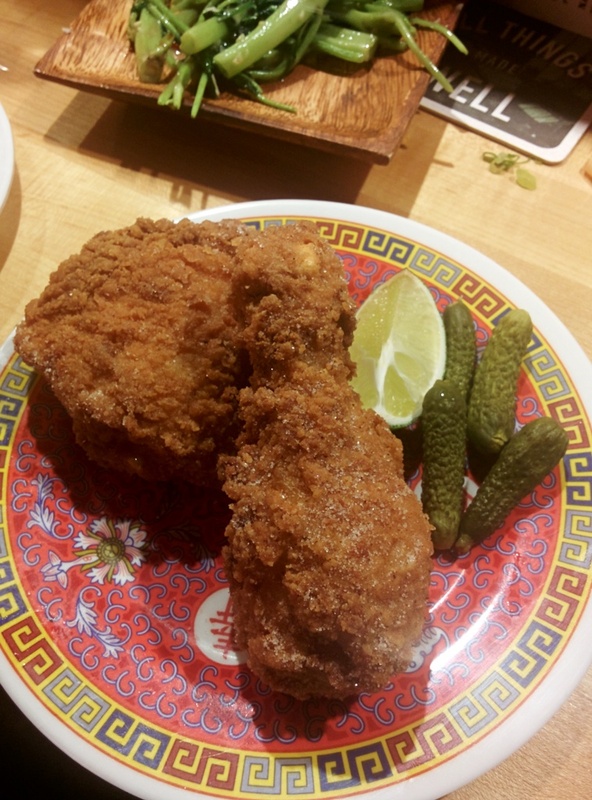 Posted on July 25, 2015 December 21, 2016 by AdrielPosted in Fried Chicken, SteakLESS, TorontoTagged Asian, Bao, fried chicken, lucky red, Pork Belly, Toronto.